David Unsworth has been in charge for just Two weeks, in what feels like a month! But he has addressed something only an Evertonian could. When new players entered the doors for the first time at our great club, they had the honour of being met by Howard Kendall. It became a tradition to involve Howard in giving the newbie an incite into what’s required as an Everton player. Unfortunately, since Kendall’s passing that key start to a new players career at Goodison park has been missed. With foriegn managers taking the reigns for the past 5-6 seasons, the Everton way has failed to be addressed to it’s new playing staff and it’s told a pretty grim story in the last year as a result. Although it’s certainly not the sole reason for our demise, Everton has always been that club that has lived off it’s history and not allowed any player to be bigger than the club. Attitude has always been a must for Evertonians watching at Goodison and our temporary manager has an awful lot to be proud of for the way he has addresses the understanding of the club the new crop of players play for. 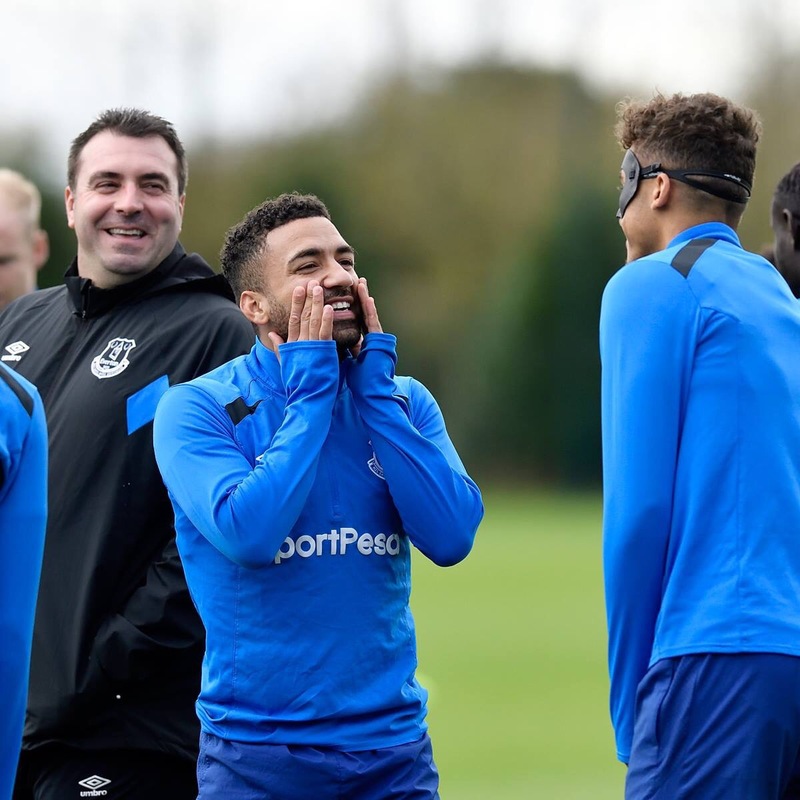 Unsworth may not take permanent charge as first team manager, but, I’m happy to say that he has my personal appreciation for setting the very basic ground rules that the previous manager missed. Morgan Schneiderlin and Kevin Mirallas were rumoured to have been left out of Sunday’s squad on the back of their attitude in training on Friday. Ever fearless, Unsworth put them straight, our club is not the club you can get away with doing as you please whilst earning a killing. Nikola Vlasic is also apparently in a similar boat. An understanding of Everton might not be that easy to grasp for a stranger, but if the likes of Schneiderin, Sigurdsson, Keane and Pickford weren’t informed prior to Unsworth’s temporary appointment, they will know all about the expectations after Rhino’s two weeks in charge. Sunday’s display is Everton. It’s typical Everton. It wasn’t pretty but we refused, with everything we had, to be beaten. We were poor for 60 minutes, but it didn’t stop us from wanting to win. Under Koeman that performance would not have happened. Based on that fact alone, Unsworth has to take that huge managerial positive with him if he isn’t to take the permanent reigns, he has begun to change a squads mentality in just 14 days. I sincerely hope Unsworth is able to gain experience and should replace Ferguson as our next managers assistant. We need him around the players as a constant reminder of what is expected, the standards we require. Not just from the teams point of view, but if Unsworth was to be assistant it adds even more to his experience and could be ready to take over at his and our club next time he is required. 3 Thoughts – Niasse, The defence and desire. David Unsworth expected to finish the season as Everton manager.